An apples-to-oranges comparison of college costs released June 30 by the U.S. Department of Education gives a misleading impression of the true cost of attending Bates. Required by the federal Higher Education Opportunity Act, the new College Affordability and Transparency Center website offers a variety of ways to look at what American higher education institutions charge. Bates spokesman Roland Adams explains, however, “What you see for the vast majority of schools on this list is a statement of tuition and mandatory fees only — not total charges, including room and board. But because Bates takes a ‘comprehensive fee’ approach — presenting families our true overall charges in one clear total — we lead that list, followed immediately by four other schools that do likewise. Asterisks appear next to the names of the five colleges that charge a comprehensive fee and thus sit atop the list. “We believe that the asterisks do not make sufficiently apparent to the casual reader that the list essentially compares apples to oranges,” Adams says. “It leaves an impression that Bates is much more expensive than the colleges that report their tuition and fees only. Bates’ net price is lower than more than 400 other schools. The full versions of other lists in the group, which are not available online, give much more accurate comparisons of Bates’ costs and reflect its commitments to both generous financial aid and controlling costs, says Adams. In the full version of the “Average Net Price” list — which shows the average cost for students who receive financial aid at all these institutions — Bates’ net price for such students is lower than those of more than 400 other schools. “This reflects Bates’ generous financial aid policy, under which we meet 100 percent of any admitted student’s demonstrated financial need, for a full four years,” says Adams. Bates has done better at controlling its costs than more over 800 other schools. 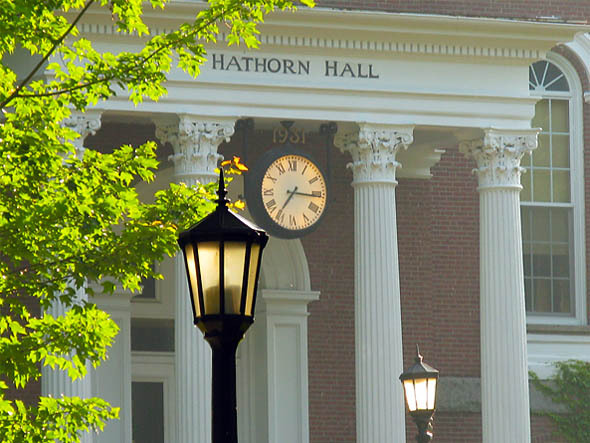 As for controlling costs, the full version of yet another of these lists, “Percentage Increase in Tuition and Fees, most recent three academic years,” shows that Bates has done better at controlling its costs than over 800 other schools. “Members of the Bates community and the public are very concerned about the cost of higher education. In turn, Bates is extremely attentive to containing that cost,” Adams says. In fact, Bates received a record 5,196 applications this spring for just over 500 places in next year’s entering class.